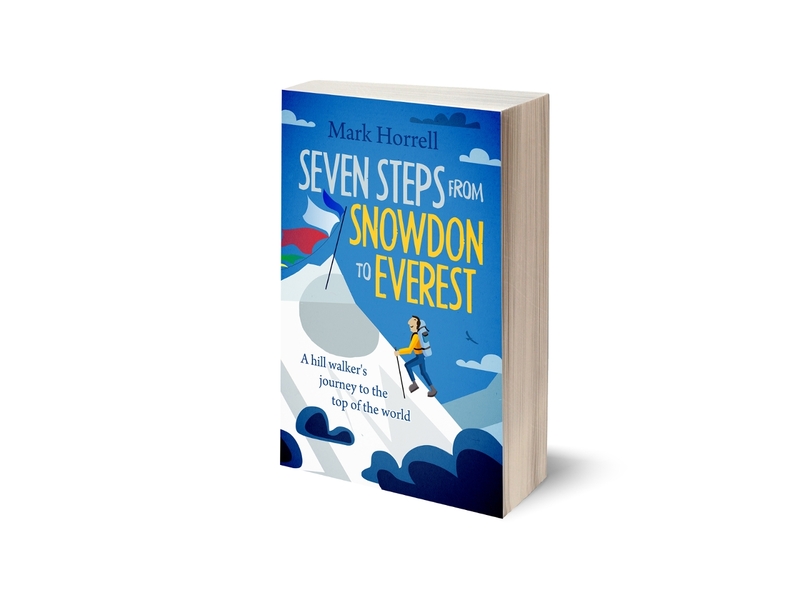 There’s nothing like a negative Everest story to trigger a flurry of publishing absurdity, during which those of us who have climbed the mountain have to endure a volley of abuse until the story dies down. This flurry isn’t confined to the mass media, but takes place among the climbing community as well, where the guided vs. non-guided or supported vs. unsupported climbing debate provokes strong opinions. Take the following example written by Andrew Bisharat, Editor of Rock and Ice, a magazine about rock climbing – in other words, someone who has a lot of influence within the climbing community and ought to know better. I’m not picking on him in particular, as his argument is a popular one which can be found elsewhere. His is just one example among many. In a post entitled Everest Is Not For Climbers, he argues that Everest has now become so crowded with commercial expeditions using fixed ropes and Sherpa support, that there is no longer any room for “real” climbers to climb as a small team and demonstrate the self-reliance and skill required by climbers on quieter mountains. It’s an argument which is readily lapped up by aspiring rock climbers who enjoy climbing technical routes at home but don’t feel they have the opportunity to experience the Himalayas for themselves. The trouble is, it’s an argument that can be easily refuted with a single photograph. This is Everest’s east or Kangshung Face. On the left is Lhotse, the fourth highest mountain in the world, and Everest is the peak on the right. Between them is the South Col, where climbers on the standard route spend a night before their summit day. It was first climbed in 1983 by Lou Reichardt, Kim Momb and Carlos Buhler via the prominent buttress in the photograph between the col and the summit. It took the American team 28 days to climb using winches powered by a 5 horsepower engine to haul half a ton of equipment up the face. When they joined the Southeast Ridge and met a Japanese team on the standard route, they watched a Sherpa plunge to his death on the way down. Just for good measure, here’s a photo of the lower part of the Northeast Ridge from Advanced Base Camp on the north side, with the knife edge of The Pinnacles prominent in the centre. Pete Boardman and Joe Tasker went missing here in 1982, and the route was first climbed in its entirety to the summit by a Japanese team in 1995. It’s another route that nobody is climbing at the moment. A more lightweight ascent was made up the face to the South Col in 1988 by a mixed team of Americans, Brits and Canadians. Halfway up they encountered a crevasse, which they had to climb down into and back up again in order to set up a Tyrolean traverse (a method of crossing an open space on a rope by hanging underneath it, usually with the aid of a harness attached to a pulley). Stephen Venables reached the summit solo, but was benighted on the way down and had to bivouac high on the Southeast Ridge. One of the climbers, Ed Webster, ended up losing most of his fingers to frostbite. 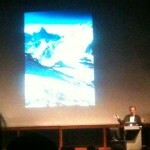 I was lucky enough to attend the 25th anniversary lecture to commemorate this ascent in London recently. Thirty years after its first ascent there remain only a handful of people who have climbed the Kangshung Face. 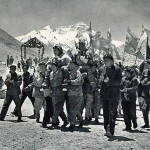 One person to have attempted it is the South African Cathy O’Dowd, the first woman to climb Everest from both the north and south sides, who drew my attention to it in a sensible blog post which appeals for common sense in the wake of the fight on Everest last week. In her post she explains that for six weeks four of them had the entire Kangshung Valley to themselves, and there is currently nobody there at all. 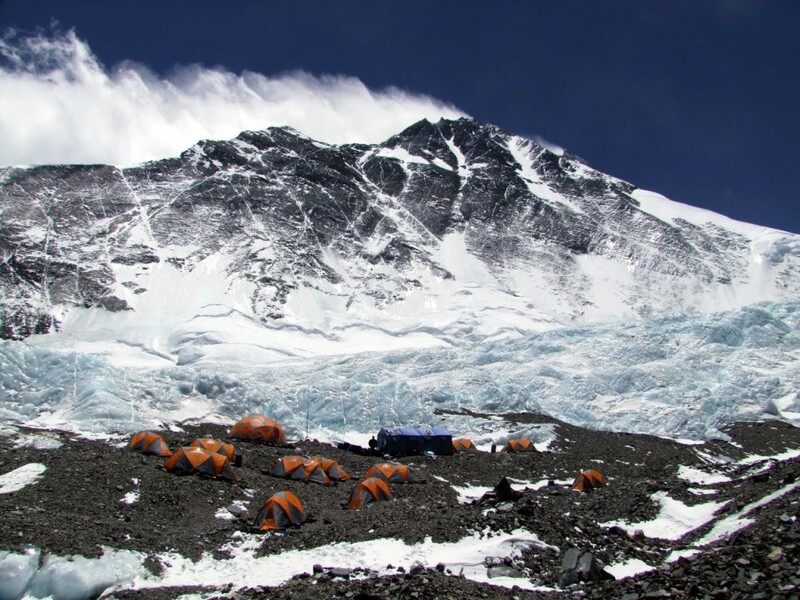 The Kangshung Glacier lies at around 5500m, and Everest’s summit is 8848m. That means from base to summit the Kangshung Face is approximately 3350m high – more than two vertical miles! Take a look at the photo again. Try to imagine what size a person would be on it. Everest is too overcrowded for “real” climbers? I don’t know what motivates people to make crass statements like this every time something controversial happens on Everest. I could go into a lengthy discussion of whether commercial and independent climbing should be allowed to exist side by side. People have been using mountain guides in the Alps for over two hundred years, ever since Michel-Gabriel Paccard made the first ascent of Mont Blanc with Jacques Balmat in 1786, and it’s not something that’s likely to go away. 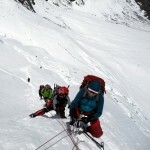 It is better to accept that mountaineering can be done in a variety of styles depending on your preference. Beyond that, I only have one thing to say to these people. Everest is not for climbers, you say? Yeah, and Edmund Hillary was a Sherpa. 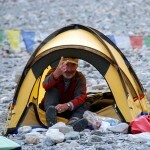 ← How civilised does an expedition base camp have to be? I agree that mountaineering is done in a variety of styles. If you want to go solo, that’s your business but I see nothing wrong with using guides if you so choose. The diversity of everyone’s experience is their own personal choice. No where in this article did he argue about the pros vs cons about guided climbs and mountaineering style. He is merely pointing out the fact that there are plenty of very difficult routes on Everest which are often unclimbed… in response to the misconception that Everest “is not for real climbers”. like any other mountain some attempting should be better prepared but i think for the most part everest has climbers with experience and it should not be taken lightly. i summitted in 2016 after attempting it in 2015 as well when the earthquake cut short our expedition.